There have been Italians within the confines of the United Kingdom since Roman times, however modern immigration began with churchman, academics, artists, merchants and aristocrats from around the 13th Century. This gave way to an influx in the 19th Century with the vast majority coming from villages in the North of Italy, usually as seasonal workers who had walked across France to the French ports. During the period of 1820 – 1850 there were approximately 4,000 Italians living in England with around half of them living in London and hailing from the Como and Lucca region’s. By the 1870s this had grown to include the regions around Parma and Liri. Many of these migrants who came for seasonal work remained beyond the season, often marrying local women or bringing their families with them. The London epicentre of the Italian community was known then, as now as Little Italy and is located in Clerkenwell. Across many Victorian writings there are descriptions of the cramped and poor conditions which the Italians shared with the Irish population and the English poor. The hope always being that families saved enough money to improve their living conditions, often the reality was very different. Some of the Italian population spread across the North of England into Scotland and to Wales, although not in huge numbers. The majority remaining in London. By 1891 the Census indicates that the majority of those in London worked as street sellers and organ grinders. The Italian population in Manchester indicates that many were involved with modeling, plastering and tile makers. In Yorkshire many were involved in the cutlery industry especially around the Sheffield area. In contrast, those in Wales were involved with shipping, either working in industries that serviced shipping or as seaman on board British ships. Others worked in the coal industry, for which Wales is famous. From the 1861 Census in Scotland we can determine that there was only 118 Italians in the region, by 1901 this had grown to a substantial 4,050. These Italian communities were becoming economically stronger often running food or ice cream venues and in some cases moving from the Cities to smaller towns. The First World War reduced the Italian migration substantially and it remained fairly low until after the Second World War when we see a rise in Italians coming to the United Kingdom. Some Italians came to the United Kingdom as Prisoners of War and after the war ended remained here, taking an English wife and building a new life. This then lends the way to the post war boom of immigration which often joined the earlier established Italian communities. Furthermore, from the 1950s there was an influx from the Southern towns of Italy and Sicily. Those regions were often poor with limited work, therefore they travelled to the United Kingdom and became part of a workforce to rebuild Britain after the war. The most noticed communities are in Woking, Bedford, Nottingham and in Cambridgeshire. Regardless of when those Italian migrants arrived they came bringing with them moments from home, recipes, traditions, language and of course their religion. They say that the Church is often at the heart of the community, and that is especially the case with the Italian population. We shall see over the rest of this 4-part series about the Italian Churches that formed as part of the wider Catholic community. I started my research deep in a rural village in the depth of Surrey England. As my research evolved and I researched back through the generations exploring the lives of direct and indirect ancestors I stumbled into the surname of Bellasis. The connection starts through the my 7 x Great Grandfather Henry Budd. Henry and his wife Martha nee Ottway raised a family of 8 in Puttenham from 1724. I can speculate on the birth place of Henry, as the neighbouring village of Shackleford as documentation in the village of Puttenham indicates “First of the Budd’s“, so I know he was not born there. There are some early records which indicate that a Henry Budd was resident in Shackleford and there is also references to Henry Budd in the neighbouring village of Elstead a few miles away. Certainly these villages were within walking distance of my 18th Century ancestors. Henry and Matha raised their family of 7 children in a time, fairly reminiscent of Jane Austen’s Pride and Prejudice. I can almost hear and feel the panic as Henry and Martha realised that they need to marry off their daughters to Gentlemen of certain means. Their eldest daughter, Ester married George Bridges Bellasis. I have written before about the antics of George during his time in the East India Company, (for that post click HERE). The Bellasis family were well established. As I researched further through the line of Bellasis I encountered the half brother of George, Edward Bellasis. 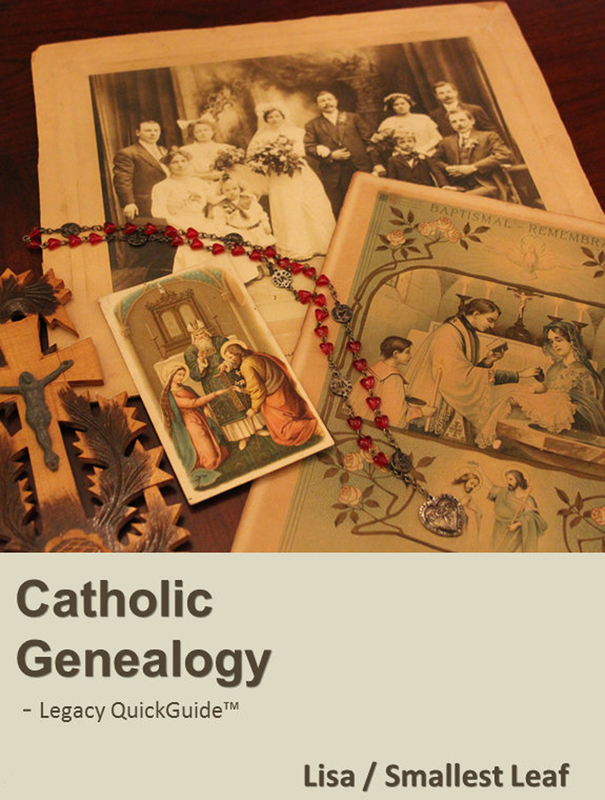 George’s father had been a vicar and so I was very surprised to see that Edward converted to Catholicism in 1850. It was this angle and part of the family that posed the most research and questions, not only about the family, but about the religious aspects to it. Edward Bellasis was born in 1800 to the Rev. George Bellasis and his second wife Leah Cooper Viall. Edward lead an interesting life, he was educated at Christ’s Hospital and undertook legal studies at the Inner Temple. He formed a legal practice at the Chancery Bar and retired from legal practice in 1867. He died in France in 1873. He was received into the Roman Catholic Church by Father Brownhill on 27 January 1850 and soon after his wife and children followed. He was keen on all things Catholic and was fairly instrumental within the Roman Catholic community; including founding the School of Oratorians at Edgebaston. Edward married twice, but it the children of his second marriage to Eliza Garnett that takes us along a fascinating path. Together, Edward and Eliza had 10 children. Two sons, the eldest and youngest became Priests and three of his daughters became Nuns. I had barely interpreted the information of the conversion, when I was sent this photograph by a fellow researcher. The photograph is of three of the daughters of Edward Bellasis, Monica, Mary and Cecelia Bellasis. Where would the research lead and how far could I research their lives as Nuns? Now, I was in uncharted waters in relation to my research skills. 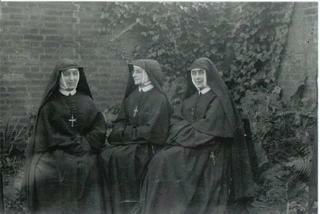 The Catholic Family History Society holds an index of Nuns, who were in the English Province of their Order. The index itself reveals the date of birth for the Nun, names of parents, religious name, dates of profession, date and place of death and the name of order. Died 25 December 1930, Harrowgate.